You’ve seen them everywhere, from grocery store checkout lines to convenience stores next to the candy. Fidget spinners, today’s hot new toy, exploded in popularity. Teens and young children can’t keep their hands off them. The toys were originally designed to help improve the focus in children with attention deficit disorders. But now, they’re a national sensation. Although the idea behind fidget spinners is a good one, its execution has left a lot to be desired. 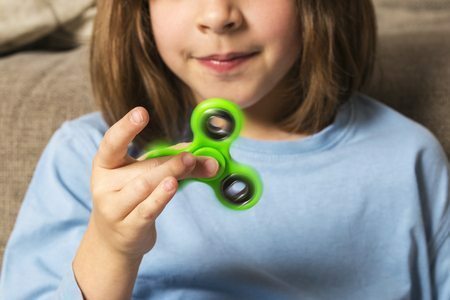 Parents are outraged when their children became injured by fidget spinners. Here’s what to do if a fidget spinner hurts your child. Fidget spinners, while a novel idea, have proven dangerous for some children. Irresponsible manufacturing lead to toys small enough to swallow in their entirety. Additionally, some toys have small parts or batteries that young children could swallow or choke on. Other types of fidget spinners, often the ones with lights, have tested positive for lead. Lead poisoning may be a real concern with these spinners. Many spinner packages are devoid of information, including warnings for children under the age of 3 or choking hazards. Failure to provide warning information may be in direct violation of federal laws. Unfortunately, spinner injury cases can be challenging because it’s not always easy to identify the manufacturer of a particular defective fidget spinner. Unlike other “fad” toys of the past, there is not one company or brand that makes spinners — rather, a multitude of companies have developed their own designs that piggyback off the original design and manufacturers can be difficult to trace. For this reason, it’s absolutely crucial to have the support of a seasoned personal injury attorney who can help you identify the manufacturer of a defective spinner and hold them responsible for injuries to your child. For this reason, it’s absolutely crucial to have the support of a seasoned personal injury attorney who can help you identify the manufacturer of a defective spinner and hold them responsible for injuries to your child. Don’t let irresponsible manufacturers get away with creating a toy that has harmed your child. At Appalachian Injury Law, we can help you bring forward a product liability claim designed to afford you financial compensation for damages and hold manufacturers accountable for their products. Call today for a consultation at (706) 515-1995 or (800) 393-8595.